We had a wonderful Thanksgiving Weekend with family from New Jersey, Asheville, and Kentucky. We cooked, we prepared! We feasted, played games, and laughed uncontrollably. All ages came to visit us. From 75 to 4 years old. The weather here in Charlotte was Fall Perfect 65 degrees and sunny. 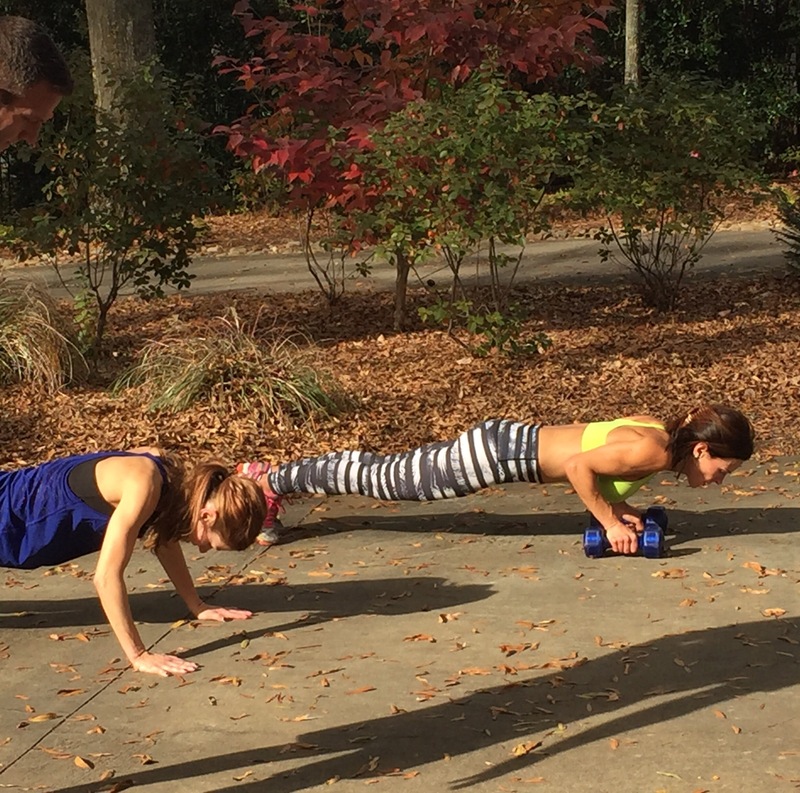 Amidst the food, fun, and entertainment, 4 adults and one teenager got motivated to workout outside, in the yard, on a Friday afternoon. We talked ourselves into light brief workout to get the blood moving. Our general motivation as a group was 5/10. The workout began with marginal enthusiasm. 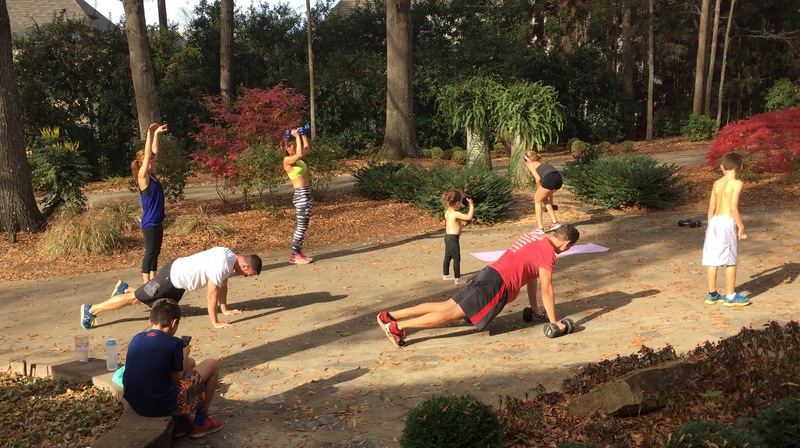 While we were busy sweating, listening to pumping music, enjoying a perfect day, and complaining about inchworm push-ups, a whole clan of little people came to see what the fuss was all about. We just minded our own business and continued working through the exercises and before we got to the squats, the rest of the crew was following along. 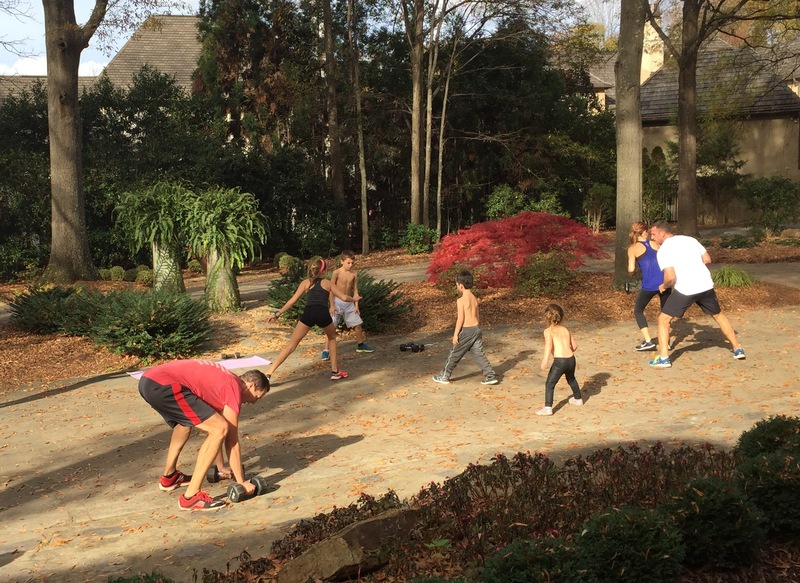 By the time we started running down the driveway, shirts were off, focus was on, and all the people were 100% committed to the workout. There was no whining, no complaining, no crying, and no electronics. Enthusiasm level rose to 100%. 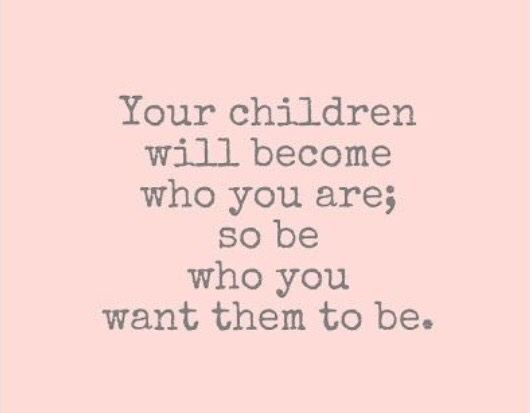 Even for the parents. 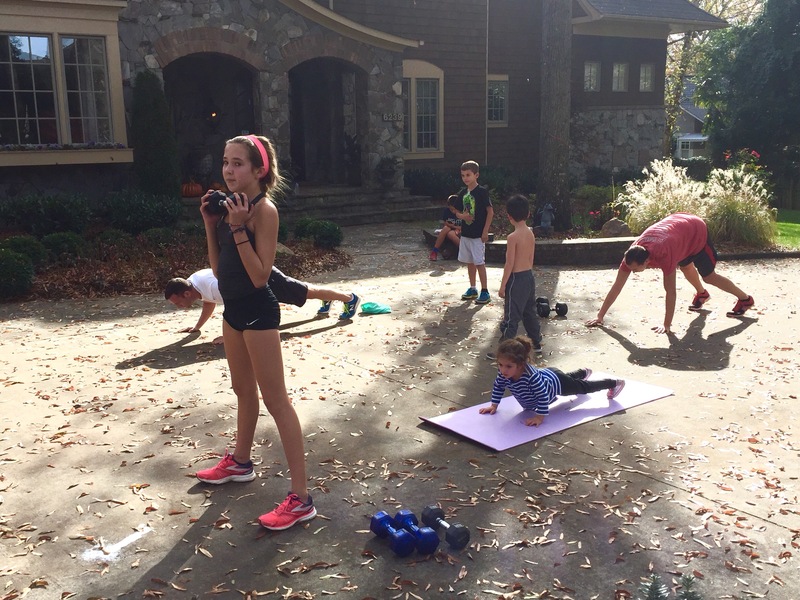 Of note, all children under 12 years old did body weight modifications of the work out. 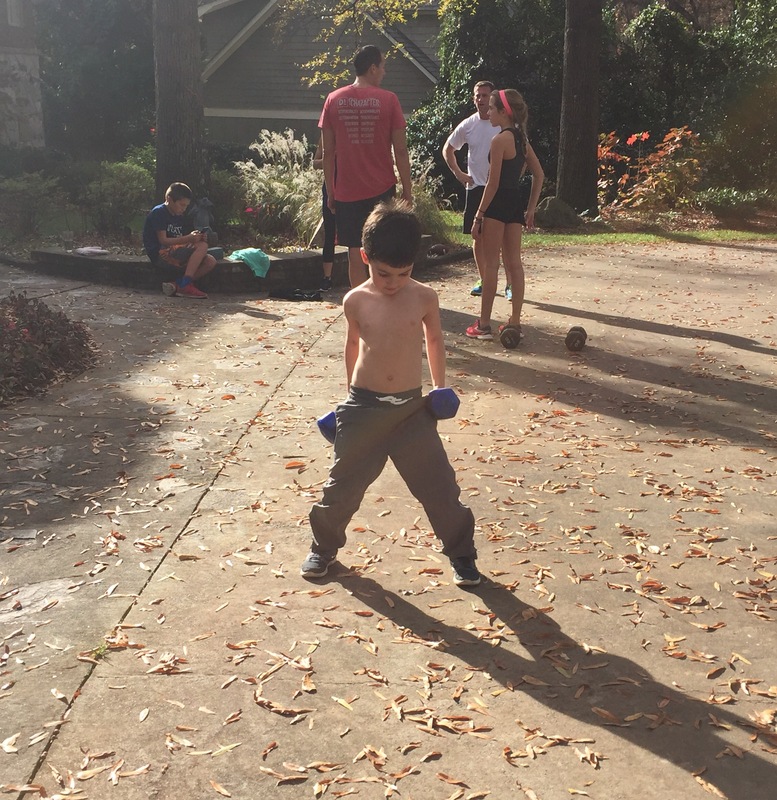 The 6 year old holding weights, was for picture purposes only. 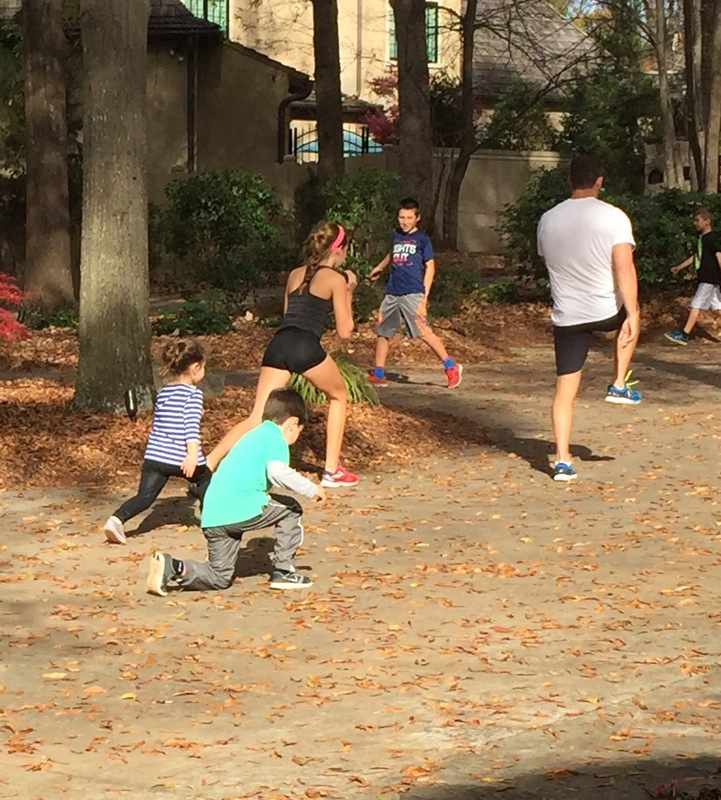 Another perfect example on how to get the kids to be active without saying a word…..